The approaches of EU institutions and the US to democracy assistance often vary quite significantly as both actors choose different means and tactics. The nuances in the understandings of democracy on the part of the EU and the US lead to their promotion of models of democratic governance that are often quite divergent and, in some respects, clashing. This book examines the sources of this divergence and by focusing on the role of the actors’ "democratic identity" it aims to explain the observation that both actors use divergent strategies and instruments to foster democratic governance in third countries. Taking a constructivist view, it demonstrates that the history, expectations and experiences with democracy of each actor significantly inform their respective definition of democracy and thus the model of democracy they promote abroad. 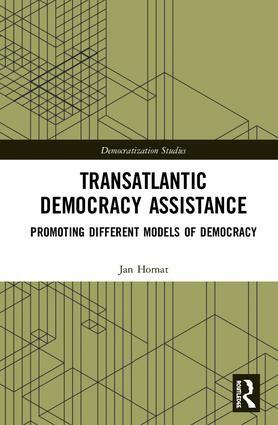 This book will be of key interest to scholars, students and practitioners in democracy promotion, democratization, political theory, EU and US foreign policy and assistance, and identity research.